North Wales Police have unveiled their new weapon in their fight against crime with the launch of their Drone Unit. 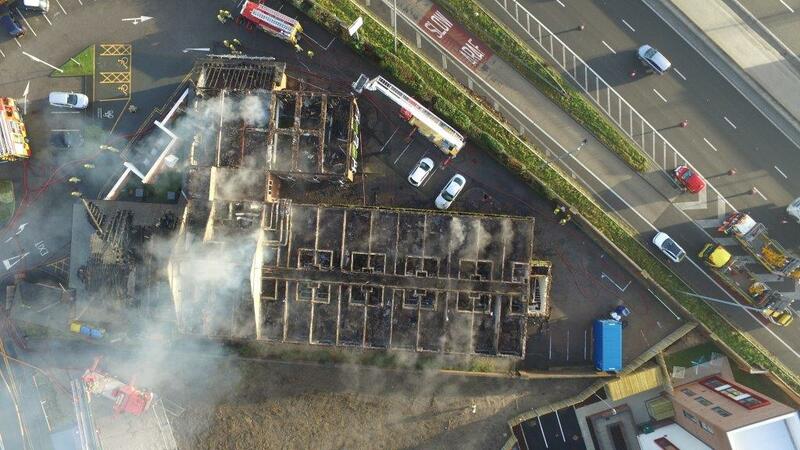 Capturing high quality video and still images, police say the drones will be used to assist with searches for missing people, road traffic collision investigations, major crime incidents and event planning and management. 15 police officers and staff members have completed their Civil Aviation Authority (CAA) training which involved passing a theory exam and practical flight test. A number of ‘Drone Spotters’, who are there to assist the Drone pilots, have also been trained across the region. All officers and staff who have been trained have undertaken this as an additional skill to their everyday duties and who can be called upon if the drones are required. The two drones, which have police livery and can also be equipped with a thermal imaging camera, have already been used to search for missing people and investigate crime. Inspector Craig Jones from the Force’s Operational Planning Unit said the drones will positively inform decision making and allow officers to gain vital information, quickly and safely. The drones have a downlink which means officers on the ground can see live footage captured by the drone in the air,” continued Craig. 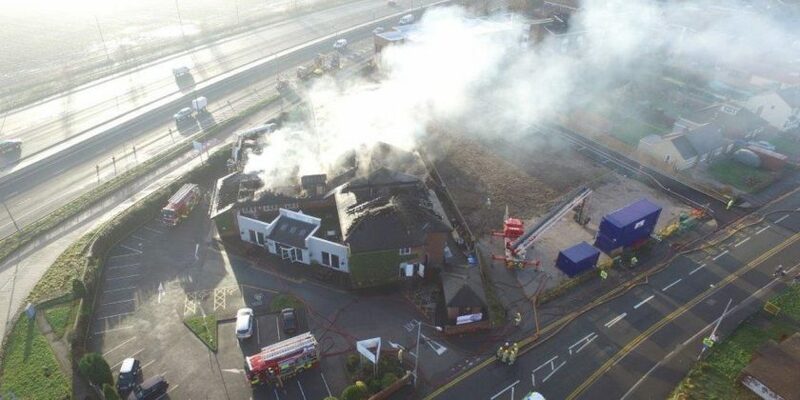 “One recent example of this was the fire at the Gateway to Wales Hotel in Deeside (pictured above) where we assisted colleagues from the North Wales Fire and Rescue Service. Drones have been trialled within the force since late 2017 – however an agreement is in place for North Wales that also allows fire and rescue service incident commanders to consider the deployment of drones.